The text of the letter was published in the press one week later, on November 9, 1917. The Balfour Declaration was later incorporated into the Mandate for Palestine. The issuance of the declaration had many long-lasting consequences. But what does any of this have to do with our mystery expression? 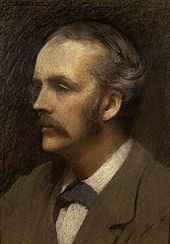 As it turns out A. J. Langguth and others have suggested that the expression “…And Bob’s your uncle” arose after Conservative Prime Minister Robert “Bob” Cecil appointed his nephew Arthur Balfour as Chief Secretary for Ireland in 1887, an act which was apparently both surprising and unpopular. In this sense, the expression also carried a hint of sarcastic envy or resentment, rather like “it’s who you know, not what you know” that gets results. So Lord Balfour write his declaration, David Ben-Gurion declares Statehood, the Israeli army fights countless wars, and Bob’s your uncle we are blessed with the modern State of Israel.